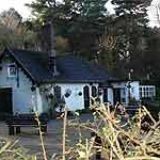 Set on the shore of the Bracebridge pool is the delightful Boathouse restaurant. Inside this 16th Century building you can dine on a delectable continental menu which is packed full of classic and innovative dishes. A real hidden gem. Do you work at Boathouse? 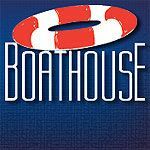 What did you think of Boathouse? This has to be one of the best locations for a restaurant in the country. The view of the lake is inspiring and the food and service is exceptional. Well Done. Yes, the setting is idyllic, which is more than I can say about the service and the attitude of the owners. We went as a group of three to sample their Tuesday special menu which at £14.00 for three courses represents excellent value for money. However, we waited for 35 minutes before finally asking a waitress if someone could possibly take our order and when the food finally arrived, my main course had to be sent back because despite informing them of my allergy to onions, the vegetables and the sauce on my steak both contained onions. So, by the time I received my meal, both of my fellow diners had finished theirs. We complained to the manager who refused to offer any sort of recompense for the poor service and then, shockingly, the chef/owner came out and very aggressively told us to 'pay our bill, get out and don't bother coming back! 'needless to say, we will not be returning. Take a drive, or a stroll, through Sutton Park and along the way you will encounter horses lining the tree-flanked pathway. Eventually you will find a small restaurant on the edge of Bracebridge Pool. Congratulations, you've found the Boathouse. 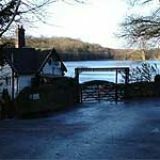 You can find The Boathouse in a beautiful setting in the middle of Sutton Park. Staff will regale you with stories of how Henry VIII once used the park as a hunting lodge, and you can see why. 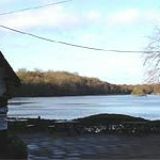 The lake is home to geese and swans and is very popular for fishing. During the summer, the outdoor patio area is perfect for pre-meal drinks, with sunsets as bright as the regal coats old Henry would have worn. It should also be noted that this venue is an absolutely stunning spot for wedding receptions, add a marquee to the indoor space and you will have a reception that will last long in the memory. The soft music that flows inside and out of the restaurant is calming, relaxing and adds to the atmosphere the staff create. They are warm, welcoming and every whim is taken care of. 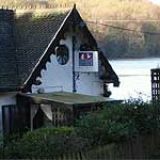 The Boathouse is definitely somewhere to go if there is a special occasion to celebrate, however, the food is so good you’ll be making up reasons to return again and again. Most of the clientele are people from the surrounding leafy neighbourhoods of Four Oaks, Mere Green and Sutton or those who have travelled in from further afield. The soup of the day (£4) varies, but may include leek and potato. Other starters include deep fried brie (£5.95) which contrasts nicely with the strawberry coulis it is presented with. The mains are a brilliant choice of English dishes: seafood is particularly strong with anything from baby turbot to Dover sole on offer, depending on what’s fresh. The chicken dish (£15) is very filling even without all the vegetables and potatoes it is offered with. The sweet red cabbage and turnip compliment the mash with spring onions and it all tastes delicious. Desserts such as Eton mess (£5.50) and bread and butter pudding (£5.50) encompass all the great images of good English desserts you'll ever want to try. The wine menu provides some good matches to the food like the Sauvignon Blanc (£4.60 a glass/ £13 a bottle), or the most excellent El Coto Rioja (£17.90 a bottle). There are many beers, including Becks, Bud and Peroni in bottles or Carling and Tetley's on draft. Enjoying a pint on a sunny day, while sitting by the lake is happy days all round. The Boathouse is one off the most picturesque settings for a meal you can find in the whole of Birmingham. Highly recommended.